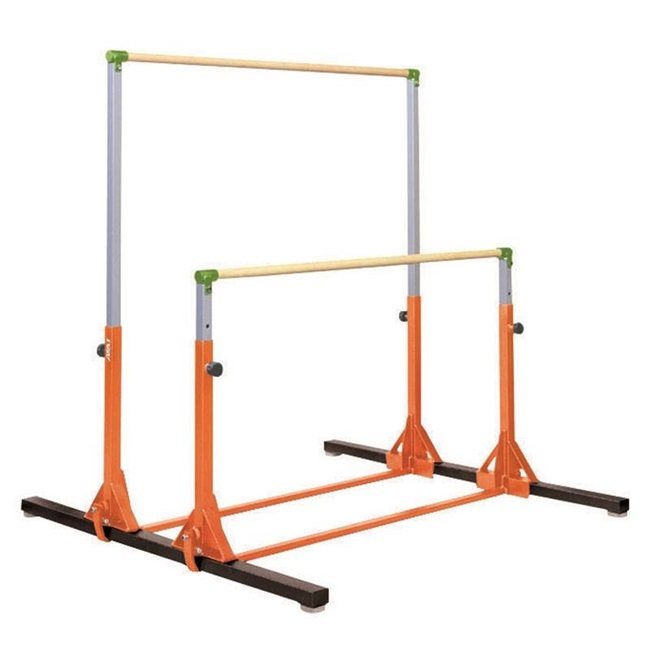 Uneven Bar Set: Comes with fiberglass rails covered with a wood veneer. High bar adjusts in height from 60-5/8’’ to 75-5/8’’ (154 to 192cm) in 3’’ (7.5cm) increments. Low bar adjusts in height from 37’’ to 52’’ (94 to 132cm) in 3” (7.5cm) increments. Unit is 75’’ (191cm) wide and 72’’ (183cm) deep. Uprights are powder coated in a orange gloss finish with silver powder coated pistons. 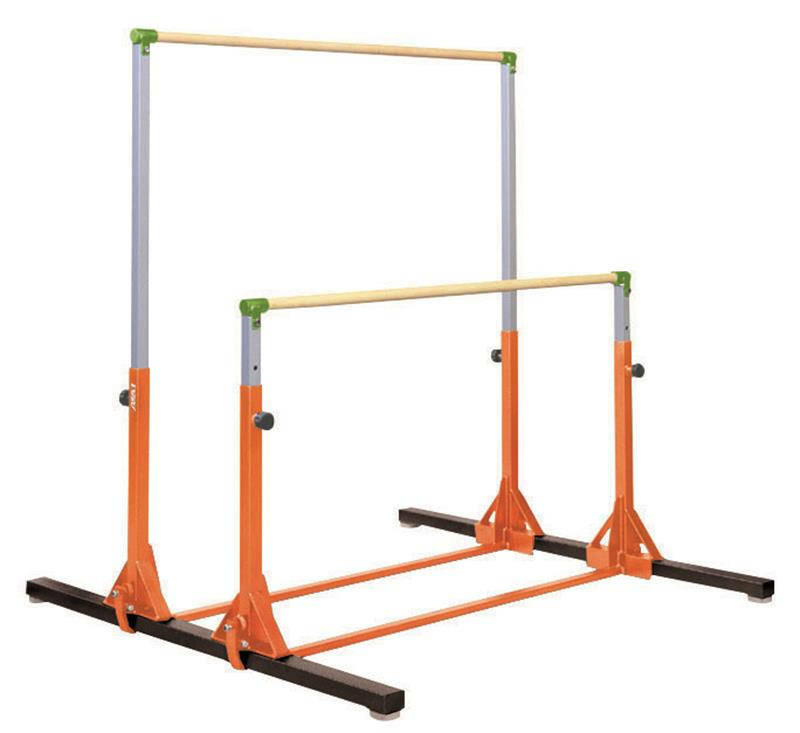 Uneven Bar Set with Adjustable Spreader: High bar adjusts in height from 60-5/8” to 75-5/8”(154cm to 192cm) in 3” (75mm) increments. Low bar adjusts in height from 37” to 52”(94cm to 132cm) in 3”(75mm) increments. Adjustable spreader locks low bar at three separate settings from 18-1/4” to 61-3/4”. Fiberglass bars are covered in a wood veneer finish.